I hadn’t planned on posting so much Star Wars content, but when it’s a random Tuesday and Tell It Animated is awesome, how about a Darth Vader video? This guy does great work! These are fun videos. I wish I had the talent to come up with a fun YouTube series. I’d be on easy street! I need to stop convincing myself that I’m in good enough shape to go to Comic-Con. Maybe once upon a time I could handle it, but oh boy, last weekend in New York was misery! I had a lot of fun hanging out with my friends, but I was so winded and worn out that I didn’t actually see anything at Comic-Con. The most I can say is that I made it into the building and found a couple of nice chairs. Anyway, the experience has not soured me on comics in general, and we’ve got some nice ones this week. Great Lakes Avengers and Mosaic kick off at Marvel, and I’ve decided to try Superwoman again. 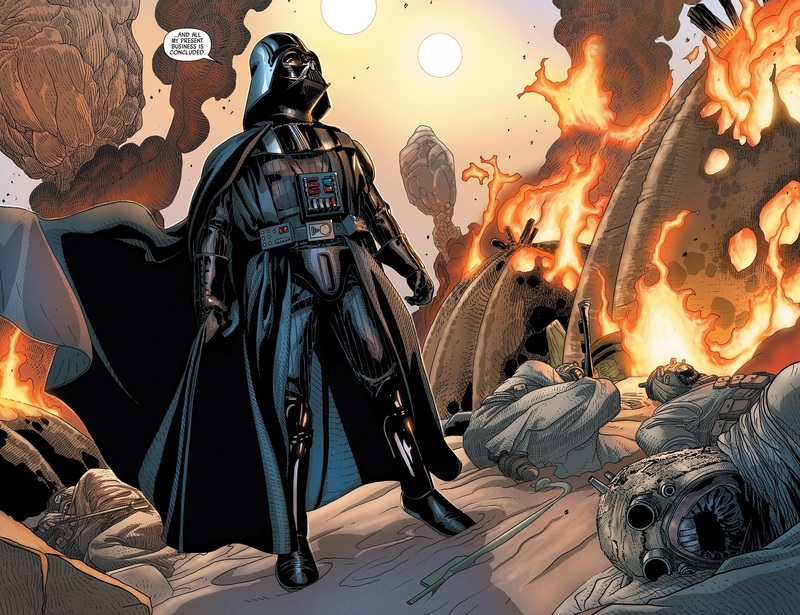 But the Comic of the Week goes to the final issue of Darth Vader for being its usual badass self! On the chopping block is the new Supergirl series. After two issues, I just don’t think it’s for me and I won’t be reviewing it going forward. I’m sure Supergirl fans will be happy with it, but I find it kind of mundane. Comic Reviews: Darth Vader #25, Great Lakes Avengers #1,Lumberjanes/Gotham Academy #5, Mosaic #1, Power Man & Iron Fist #9 and Superwoman #3. This is the week. There are a lot of good comics out this week, and I wish I’d found the time to get to even more of them, but this week is special because of the return of two of my favorite comics: Ms. Marvel and The Mighty Thor! These are some of the best in the industry right now, and their returns are most welcome! But surprisingly, Comic Book of the Week goes to Astonishing Ant-Man #2! Another one of Marvel’s gems, the new issue of Ant-Man delivers a wonderfully entertaining issue that edges out the two more hotly anticipated comics because of the return of a recent favorite character of mine! Let’s welcome back Miss Thing! And as a special bonus later today, tune in to the Geekamole Youtube channel this afternoon as I join frequent Henchman commenter Maus Merryjest for his weekly pop culture podcast! We talk about Teen Titans, Iceman and much more! If you’ve ever wanted to listen to me talk about comics instead of reading them, now is your chance. 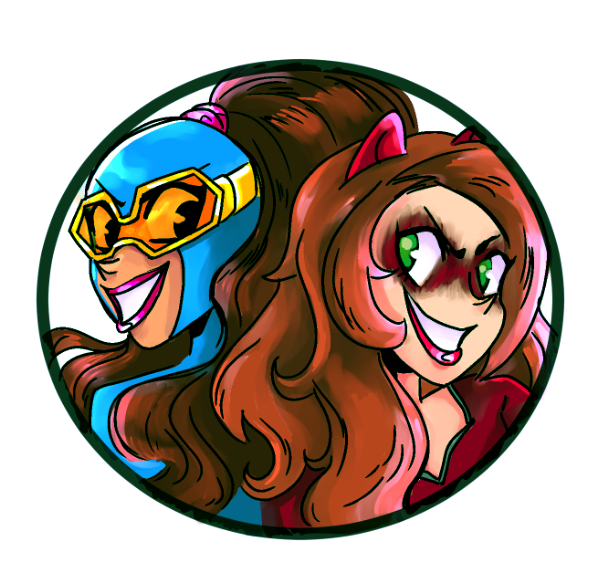 Doubly also, we’ve got some big Gamer Girl & Vixen news coming soon! And if you helped out my Kickstarter last summer, then your comics should be arriving very soon! Comic Reviews: Astonishing Ant-Man #2, Huck #1, Mighty Thor #1, Ms. Marvel #1, Spider-Woman #1, Titans Hunt #2 and Vader Down #1.